Výsledky Národního onkologického programu ČR jsou prezentovány mezinárodní i české odborné veřejnosti především prostřednictvím odborných publikací, zejména článků v lékařských časopisech a knih. Jak ukazuje následující přehled, jednotlivé součásti NOP přinášejí řadu zajímavých výstupů v oblasti epidemiologie a predikcí populační zátěže, účinnosti a bezpečnosti nákladné léčby i screeningu zhoubných nádorů. Uvedené publikace rovněž ukazují, že kvalita dat o české onkologické péči je plně srovnatelná s nejvyspělejšími zeměmi a informační základna NOP, zejména Národní onkologický registr ČR, klinické registry nákladné péče a registry screeningových vyšetření, umožňují velmi důvěryhodnou prezentaci výsledků NOP v zahraničí. Dušek L. et al. Czech Cancer Care in Numbers 2008–2009. Praha: Grada Publishing, 2010. 496 s.
Malúšková D, Svobodová I, Kučerová M, Brožová L, Mužík J, Jarkovský J, Hájek R, Maisnar V, Dušek L. Epidemiology of multiple myeloma in the Czech Republic. Klinická onkologie 2017; 30(Suppl. 2): 2S35-2S42. Petera J, Dušek L, Sirák I, Soumarová R, Jarkovský J. Cancer in the elderly in the Czech Republic. European Journal of Cancer Care 2015; 24(2): 163–178. Pavlík T, Májek O, Büchler T, Vyzula R, Petera J, Ryska M, Ryška A, Cibula D, Babjuk M, Abrahámová J, Vorlíček J, Mužík J, Dušek L. Trends in stage-specific population-based survival of cancer patients in the Czech Republic in the period 2000-2008. Cancer Epidemiology 2014, 38(1): 28-34. Lukáš J, Drábek J, Lukáš D, Dušek L, Gatěk J. The epidemiology of thyroid cancer in the Czech Republic in comparison with other countries. Biomedical Papers 2013; 157(3): 266-275. Ondrušová M, Mužík J, Durdik S, Ondruš D. Long-term trends in the development of the epidemiology of breast cancer in the Slovak and Czech Republic with reference to applied screening and international comparisons. Neoplasma 2012; 59(1): 70-78. Ondrušová M, Mužík J, Hunáková L, Belohorská B, Tomek D, Ondruš D, Kavcová E. Trends in the lung cancer incidence and mortality in the Slovak and Czech Republics in the contexts of an international comparison. Clinical and Translational Oncology 2012; 14(9): 659-666. Ondrušová M, Ondruš D, Karabinos J, Mužík J, Kliment J, Gulis G. Trends in prostate cancer incidence and mortality before and after the introduction of PSA testing in the Slovak and Czech Republics. Tumori 2011; 97(2): 149-155. Ondrušová M, Mužík J, Hrčka R, Friedová L, Ondruš D. Do we know the cause of the highest colorectal cancer incidence, the changes in the mortality trends and the clinical stages in the Slovak and Czech Republic, the representatives of the Central European region? Neoplasma 2011; 58(4): 283-290. Ondrušová M, Ondruš D, Mužík J, Hunáková L, Hes O, Karabinos J, Friedová L. Trends in the kidney cancer incidence and mortality in the Slovak and Czech Republics in 1980-2005 - in the context of an international comparison. Neoplasma 2011; 58(2): 165-171. Büchler T, Poprach A, Bortlíček Z, Lakomý R, Chloupková R, Vyzula R, Zemanová M, Kopečková K, Svoboda M, Slabý O, Kiss I, Studentová H, Hornová J, Fiala O, Kopecký J, Fínek J, Dušek L, Melichar B. Outcomes of patients with long-term treatment response to vascular endothelial growth factor-targeted therapy for metastatic renal cell cancer. Clinical Genitourinary Cancer 2017; 15(6): e1047-e1053. Fiala O, Hošek P, Pešek M, Fínek J, Racek J, Büchler T, Poprach A, Hejduk K, Chloupková R, Sorejs O, Ecksteinová M, Vítovec M, Čížková K, Kučera R, Topolčan O. Prognostic role of serum C-reactive protein in patients with advanced-stage NSCLC treated with pemetrexed. Neoplasma 2017; 64(4): 605-610. Fiala O, Pešek M, Skřičková J, Kolek V, Salajka F, Tomíšková M, Šatánková M, Kultan J, Kulíšková J, Svatoň M, Hrnčiarik M, Hejduk K, Chloupková R, Topolčan O, Hornychovč H, Novč M, Ryška A, Fínek J. Thyroid transcription factor 1 expression is associated with outcome of patients with non-squamous non-small cell lung cancer treated with pemetrexed-based chemotherapy. Tumor Biology 2017; 39(2): 1010428317691186. Kopeckova K, Büchler T, Bortlicek Z, Hejduk K, Chloupkova R, Melichar B, Pokorna P, Tomasek J, Linke Z, Petruzelka L, Kiss I, Prausova J. Regorafenib in the real-life clinical practice: Data from the Czech registry. Targeted Oncology 2017; 12(1): 89-95. Lakomý R, Poprach A, Bortlíček Z, Melichar B, Chloupková R, Vyzula R, Zemanová M, Kopečková K, Svoboda M, Slabý O, Kiss I, Študentová H, Juráček J, Fiala O, Kopecký J, Fínek J, Dušek L, Hejduk K, Büchler T. Utilization and efficacy of second-line targeted therapy in metastatic renal cell carcinoma: data from a national registry. BMC Cancer 2017; 17: 880. Büchler T, Bortlíček Z, Poprach A, Pavlík T, Veškrnová V, Honzírková M, Zemanová M, Fiala O, Kubáčková K, Slabý O, Svoboda M, Vyzula R, Dušek L, Melichar B. Outcomes for patients with metastatic renal cell carcinoma achieving a complete response on targeted therapy: a registry-based analysis. European Urology 2016; 70(3): 469-475. Fiala O, Buchler T, Mohelnikova-Duchonova B, Melichar B, Matejka VM, Holubec L, Kulhankova J, Bortlicek Z, Bartouskova M, Liska V, Topolcan O, Sedivcova M, Finek J. G12V and G12A KRAS mutations are associated with poor outcome in patients with metastatic colorectal cancer treated with bevacizumab. Tumor Biology 2016; 37: 6823-6830. Fiala O, Pesek M, Finek J, Minarik M, Benesova L, Sorejs O, Svaton M, Bortlicek Z, Kucera R, Topolcan O. Epidermal growth factor receptor gene amplification in patients with advanced-stage NSCLC. Anticancer Research 2016; 36(1): 455-460. Fiala O, Pesek M, Finek J, Racek J, Minarik M, Benesova L, Bortlicek Z, Sorejs O, Kucera R, Topolcan O. Serum albumin is a strong predictor of survival in patients with advanced-stage non-small cell lung cancer treated with erlotinib. Neoplasma 2016; 63(3): 471-476. Fiala O, Pesek M, Finek J, Svaton M, Minarik M, Benesova L, Bortlicek Z, Kucera R., Topolcan O. Pemetrexed versus erlotinib in the second-line treatment of patients with advanced-stage non-squamous NSCLC harboring wild-type EGFR gene. Anticancer Research 2016; 36(1): 447-453. Fiala O, Pesek M, Finek J, Svaton M, Sorejs O, Bortlicek Z, Kucera R, Topolcan O. Prognostic significance of serum tumor markers in patients with advanced-stage NSCLC treated with pemetrexed-based chemotherapy. Anticancer Research 2016; 36(1): 461-466. Fiala O, Pesek M, Finek J, Topolčan O, Racek J, Svaton M, Kucera R, Minarik M, Benesova, L, Bortlicek Z, Chloupkova R, Poprach A, Buchler T. Change in serum lactate dehydrogenase is associated with outcome of patients with advanced-stage NSCLC treated with erlotinib. Anticancer Research 2016; 36(5): 2459-2465. Kiss I, Mlčochová J, Bortlíček Z, Poprach A, Drábek J, Vychytilová P, Svoboda M, Büchler T, Batko S, Ryška A, Hajdúch M, Slabý O. Efficacy and toxicity of panitumumab after progression on cetuximab and predictive value of MiR-31-5p in metastatic wild-type KRAS colorectal cancer patients. Anticancer Research 2016; 36(9): 4955-4959. Poprach A, Lakomý R, Bortlíček Z, Melichar B, Pavlík T, Slabý O, Vyzula R, Svoboda M, Kiss I, Študentová H, Zemanová M, Fiala O, Kubáčková K, Dušek L, Hornová J, Büchler T. Efficacy of sunitinib in elderly patients with metastatic renal cell carcinoma: data from real-world clinical practice. Drugs & Aging, 2016; 33(9): 655-663. Svaton M, Fiala O, Pesek M, Bortlicek Z, Minarik M, Benesova L, Topolcan O. The prognostic role of KRAS mutation in patients with advanced NSCLC treated with second- or third-line chemotherapy. Anticancer Research 2016; 36(3): 1077-1082. Bencsikova B, Bortlicek Z, Halamkova J, Ostrizkova L, Kiss I, Melichar B, Pavlik T, Dusek L, Valik D, Vyzula R, Zdrazilova-Dubska L. Efficacy of bevacizumab and chemotherapy in the first-line treatment of metastatic colorectal cancer: broadening KRAS-focused clinical view. BMC Gastroenterology 2015; 15: 37. Kubáčková K, Bortlíček Z, Pavlík T, Melichar B, Linke Z, Pokorná P, Vyzula R, Prausová J, Büchler T. Prognostic factors in renal cell carcinoma patients treated with sorafenib: results from the Czech registry. Targeted Oncology 2015; 10(3): 385-392. Kubáčková K, Bortlíček Z, Pikus T, Linke Z, Pokorná P, Vyzula R, Prausová J. Bevacizumab with chemotherapy in patients with KRAS wild-type metastatic colorectal cancer: Czech registry data. Future Oncology 2015; 11(2): 225–232. Fiala O, Pešek M, Fínek J, Topolčan O, Racek J, Minárik M, Benešová L, Bortlíček Z, Poprach A, Büchler T. High serum level of C-reactive protein is associated with worse outcome of patients with advanced-stage NSCLC treated with erlotinib. Tumor Biology 2015; 36(12): 9215–9222. Fiala O, Pešek M, Fínek J, Minárik M, Benešová L, Bortlíček Z, Topolčan O. Statins augment efficacy of EGFR-TKIs in patients with advanced-stage non-small cell lung cancer harbouring KRAS mutation. Tumour Biology 2015; 36(8): 5801–5805. Poprach A, Bortlíček Z, Melichar B, Lakomý R, Svoboda M, Kiss I, Zemanová M, Fiala O, Kubáčková K, Coufal O, Pavlík T, Dušek L, Vyzula R, Buchler T. Efficacy of sunitinib in patients with metastatic or unresectable renal cell carcinoma and renal insufficiency. European Journal of Cancer 2015; 51(4): 507–513. Büchler T, Pavlík T, Melichar B, Bortlíček Z, Ušiaková Z, Dušek L, Kiss I, Kohoutek M, Benešová V, Vyzula R, Abrahámová J, Obermannová R. Bevacizumab with 5-fluorouracil, leucovorin, and oxaliplatin versus bevacizumab with capecitabine and oxaliplatin for metastatic colorectal carcinoma: results of a large registry-based cohort analysis. BMC Cancer 2014; 14: 323. Kiss I, Bortlíček Z, Melichar B, Poprach A, Halámková J, Vyzula R, Dušek L, Büchler T. Efficacy and toxicity of bevacizumab on combination with chemotherapy in different lines of treatment for metastatic colorectal carcinoma. Anticancer Research 2014; 34(2): 949-954. Slavíček L, Pavlík T, Tomášek J, Bortlíček Z, Büchler T, Melichar B, Vyzula R, Prausová J, Fínek J, Májek O, Dušek L. Efficacy and safety of bevacizumab in elderly patients with metastatic colorectal cancer: results from the Czech population-based registry. BMC Gastroenterology 2014; 14: 53. Büchler T, Bortlíček Z, Poprach A, Kubáčková K, Kiss I, Zemanová M, Fiala O, Dušek L, Vyzula R, Melichar B. Efficacy of everolimus in second- and third-line therapy for metastatic renal cell carcinoma: A registry-based analysis. Urologic Oncology: Seminars and Original Investigations 2014; 32(5): 569–575. Poprach A, Pavlík T, Melichar B, Kubáčková K, Bortlíček Z, Svoboda M, Lakomý R, Vyzula R, Kiss I, Dušek L, Büchler T. Clinical and laboratory prognostic factors in patients with metastatic renal cell carcinoma treated with sunitinib and sorafenib after progression on cytokines. Urologic Oncology: Seminars and Original Investigations 2014; 32(4): 488-495. Büchler T, Pavlík T, Bortlíček Z, Poprach A, Vyzula R, Abrahámová J, Melichar B. Objective response and time to progression on sequential treatment with sunitinib and sorafenib in metastatic renal cell carcinoma. Medical Oncology 2012; 29(5): 3321-3324. Poprach A, Bortlíček Z, Büchler T, Melichar B, Lakomý R, Vyzula R, Brabec P, Svoboda M, Dušek L, Gregor J. Patients with advanced and metastatic renal cell carcinoma treated with targeted therapy in the Czech Republic: twenty cancer centres, six agents, one database. Medical Oncology 2012; 29(5): 3314-3320. Poprach A, Pavlík T, Melichar B, Puzanov I, Dušek L, Bortlíček Z, Vyzula R, Abrahámová J, Büchler T. Skin toxicity and efficacy of sunitinib and sorafenib in metastatic renal cell carcinoma: a national registry-based study. Annals of Oncology 2012; 23(12): 3137-3143. Büchler T, Klapka R, Melichar B, Brabec P, Dušek L, Vyzula R, Abrahámová J. Sunitinib followed by sorafenib or vice versa for metastatic renal cell carcinoma--data from the Czech registry. Annals of Oncology 2012, 23(2): 395–401. Májek O, Dušková J, Dvořák V, Beková A, Klimeš D, Blaha M, Anttila A, Dušek L. Performance indicators in a newly established organized cervical screening programme: registry-based analysis in the Czech Republic. European Journal of Cancer Prevention 2017; 26(3): 232-239. Dušek, L., Májek, O. a kol. Informační základna a stav screeningových programů zhoubných nádorů v České republice. Klinická onkologie 2014, 27(Suppl. 2). 136 s. ISSN 0862-495X. Lynge E, Ponti A, James T, Májek O, von Euler-Chelpin M, Anttila A et al. Variation in detection of ductal carcinoma in situ during screening mammography: A survey within the International Cancer Screening Network. European Journal of Cancer 2014; 50(1): 185-192. Ponti A, Lynge E, James T, Májek O, von Euler-Chelpin M, Anttila A et al. International variation in management of screen-detected ductal carcinoma in situ of the breast. European Journal of Cancer 2014; 50(15): 2695-2704. Májek O, Daneš J, Zavoral M, Dvořák V, Seifert B, Dušková J, Skovajsová M, Suchánek Š, Beková A, Malík T, Klimeš D, Blaha M, Pavlík T, Gregor J, Mužík J, Dušek L. Stav screeningových programů zhoubných nádorů v České republice a metodika adresného zvaní občanů ( PDF soubor, 447 kB). Masarykova univerzita, 2013. ISBN 978-80-210-6504-8. Zavoral M, Suchánek Š, Májek O, Frič P, Mináriková P, Minárik M, Seifert B, Dušek L. Colorectal cancer screening: 20 years of development and recent progress. World Journal of Gastroenterology 2014; 20(14): 3825-3834. 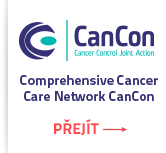 Suchánek S, Májek O, Vojtěchová G, Mináriková P, Rotnáglová B, Seifert B, Minárik M, Kožený P, Dušek L, Zavoral M. Colorectal cancer prevention in the Czech Republic: time trends in performance indicators and current situation after 10 years of screening. European Journal of Cancer Prevention 2014; 23(1): 18-26. Májek O, Daneš J, Skovajsová M, Bartoňková H, Burešová L, Klimeš D, Brabec P, Kožený P, Dušek L. Breast cancer screening in the Czech Republic: time trends in performance indicators during the first seven years of the organised programme. BMC Public Health 2011; 11: 288. Tachezy R, Šmahelová J, Kašpírková J, Saláková M. Human papillomavirus type-specific prevalence in the cervical cancer screening population of Czech women. PLoS One 2013; 8(11): e79156. Hamšíková E, Ludvíková V, Stašíková J, Tachezy R. Cross-sectional study on the prevalence of HPV antibodies in the general population of the Czech Republic. Sexually Transmitted Infections 2013; 89(2): 133-137. Giordano L, von Karsa L, Tomatis M, Majek O, de Wolf C, Lancucki L et al. Mammographic screening programmes in Europe: organization, coverage and participation. Journal of Medical Screening 2012; 19(Suppl 1): 72-82. Hofvind S, Ponti A, Patnick J, Ascunce N, Njor S, Broeders M et al. False-positive results in mammographic screening for breast cancer in Europe: a literature review and survey of service screening programmes. Journal of Medical Screening 2012; 19(Suppl 1): 57-66. Májek O, Daneš J, Skovajsová M, Bartoňková H, Burešová L, Klimeš D et al. Breast cancer screening in the Czech Republic: time trends in performance indicators during the first seven years of the organised programme. BMC Public Health 2011; 11: 288. Tachezy R, Šmahelová J, Saláková M, Arbyn M, Rob L, Škapa P, Jirásek T, Hamšíková E. Human papillomavirus genotype distribution in Czech women and men with diseases etiologically linked to HPV. PLoS One 2011; 6(7): e21913.